The IRS allows you to take an early distribution from your IRA to pay medical expenses. 1. Do I Need a 1099-R Form After Using My IRA to Buy a House? 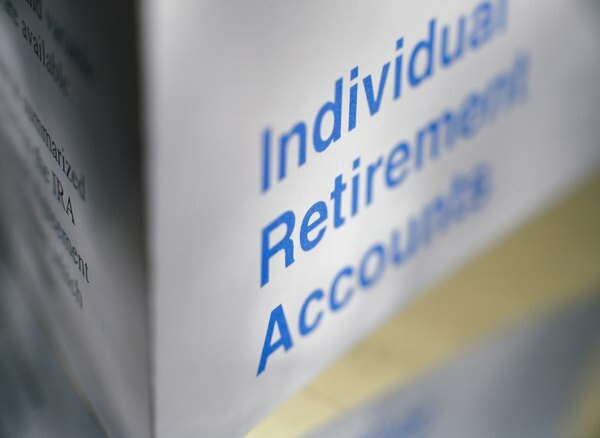 The Internal Revenue Service usually penalizes taxpayers who make early withdraws from an individual retirement account, or IRA. Depending on the type of IRA, the penalty can range from 10 to 25 percent in addition to the withdrawal being subject to regular income taxes. An exception to this rule applies when you withdraw the money to use for unreimbursed medical bills. The IRS will not impose the penalty in full, but you still have to pay regular income taxes on the withdrawal. To report the distribution and calculate your penalty, if a penalty applies, you must use Form 5329 and Form 1040. Download Form 5329, Form 1040 and each form’s instructions from the IRS website. If you can't print out the forms, order each form from the IRS by calling (800) TAX-FORM. Gather all of your medical bills and Form 1099-R, which you should have received from the financial institution that holds your IRA. Enter the total amount of your early distribution in the first field of the line labeled “IRA Distributions” on Form 1040. The total amount is listed in Box 1 on your 1099-R. Enter the taxable amount in the second field, which you can find in Box 2a on the 1099-R. Transfer the total amount of your early distribution to Line 1 on Form 5329. Determine the nontaxable amount of your distribution, and enter the amount in Line 2 on Form 5329. The IRS allows you to avoid paying the early withdrawal penalty on medical expenses that exceed 7.5 percent of your adjusted gross income, or AGI, which is located on the bottom of the first page of Form 1040. For example, if you had an AGI of $55,000, 7.5 percent of your AGI is $4,125 ($55,000 multiplied by .075). If you paid $10,000 in medical bills, $5,875 ($10,000 minus $4,125) of the distribution will not be penalized. Write the exception number “05” in the second part of Line 2. This indicates to the IRS that you used the distribution to pay unreimbursed medical expenses. Subtract the total distribution from the nontaxable portion and enter this amount in Line 3. This is the taxable amount of your distribution for which you must pay the early withdrawal penalty. Multiply the taxable amount of the early distribution by 10 percent and enter the amount in Line 4. This is the amount of your penalty. If the distribution was from a Savings Incentive Match Plan for Employees IRA, or SIMPLE IRA, that you withdrew from within two years of opening the SIMPLE IRA, you are required to pay a 25 percent penalty instead of 10 percent. Transfer the amount of your early withdrawal penalty to the line labeled “Additional Tax on IRAs” on Form 1040, which is Line 58 as of 2012. Does Everyone With an IRA Get a 1099-R?